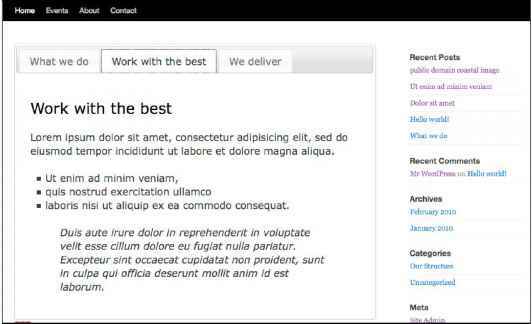 Let's start by going into the client's theme and setting a loop that pulls only from the Our Structure category. 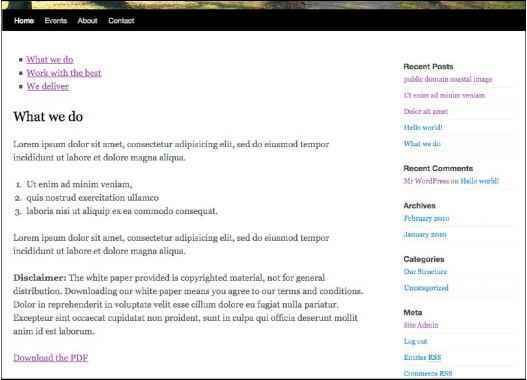 Then, using jQuery UI we'll display those posts in a set of tabs that is viewable mostly "above the fold" ensuring site visitors get an overview of the organization's most important information up front and general post items will flow below. First up, in the index.php page, we'll create a new loop, above the existing loop. php include that only displays the Our Structure category. Before we do this though, we'll head over to the jQuery UI site and take a look at the demo of how tabs are set up:http://jqueryui.com/demos/tabs/. Essentially we see that demo tabs have a ul that lists the titles, wrapped in href calls to id anchors that point to the content's div. 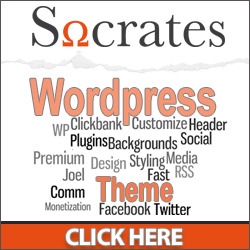 This means our theme actually will require two custom WordPress loops to accommodate this widget. This gives us a result that looks like the next screenshot. While not super pretty, it's functional, and it certainly gets that important info up there and allows the user to link down to the id instance's anchor name. Yes. Hard to believe, but thanks to the flexibility of WordPress and the work we got the theme to do for us, that's all the jQuery we need! Not bad! The content is now contained up top using the jQuery UI theme we chose, called "Smoothness" to compliment our WordPress theme best (again, we're using the default WordPress theme that comes with 3.0 as of the writing of this book). Let's look at some other uses for the UI plugin. The Blogging From The Beginning course was specifically designed with these people in mind. It starts at the very beginning, by helping them choose the right platform and takes them all the way though creating content, getting traffic and making money from their blog. It is simple, straight forward information that will help them even if they've never heard of blogging before. 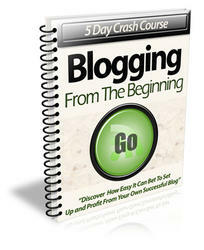 It will teach them how to get started and quickly harness the power of blogging for themselves.